To begin with, I'm kind of surprised (and kind of not) at how much I enjoyed this book. Now, whether it has to do with Gaiman's book itself, or the stellar full cast audio book I listened to, I couldn't say. But The Graveyard Book had everything my inner-child could ask for in magical wonders, paranormal quirkiness, sweetly strange humor, a cast of wonderful characters, and an adventurous and brave young hero. Had I read this book in my youth, I would have definitely fallen head over heels in love with Bod. As it is, I DID fall for him, but only in an admiring, endearing little brother sort of way. He makes for a wonderful character as you follow him grow up and learn about life, both inside and outside of the Graveyard, and save the day time and time again. The story opens up with the murder of a small family, leaving a young baby orphaned, by someone known as the man Jack. The magical elements begin quite immediately, as the baby somehow finds his way into the graveyard where he is taken in by the Owens couple, and a not-quite-dead individual named Silas presides over him as his official guardian. From thence forward, Nobody Owens becomes the only living resident of the Graveyard and is kept safe and alive so long as he remains within. The man Jack, after all, is still out there, biding his time to finish his job. As the years go by, the boy, now known to his friends in the Graveyard as Bod, grows and develops and learns what he can. He has a natural curiosity, an adventurous spirit, and a sweet, noble heart that sees him into a lovely young man. But even as he loves the Graveyard as his home, and the occupants as his family and closest friends, Bod still yearns for true human companionship at times. After all, as a living resident amidst the dead, it is only a matter of time before Bod will need to move on and live his life. I'd like to say that I loved the entire book from start to finish, because I truly DID love this book. My feelings of love were quite overwhelming upon finishing it and I didn't really think about the things that might have given me a reason to drop my star-rating. But as I sit and think about how to write this review, my thoughts stray to some opinions I'd conjured up while listening to the first parts of the audio book. Yes. The audio cast is stellar. And yes, the musical lead-ins for each chapter gave the story a wonderful atmospheric mood. But I think I had found those first few chapters a bit mundane for my liking, going from Bod's little childhood adventures through exploring the graveyard, his short friendship with Scarlet, and other little events that color his life as he gets older. Only few of those events serve to further the story, although I'm sure all of it serves to give us a taste of who Bod is as a growing boy. It was both lovely and draggy at the same time. Of course, none of those things really mean anything in the face of the fact that I would never be able to justify dropping my star-rating without hating myself. After all a 4.5 Star rating and a 5.0 Star rating really makes no difference to me. Either way, it means that I loved the book, and in my eyes, the story was near perfection. 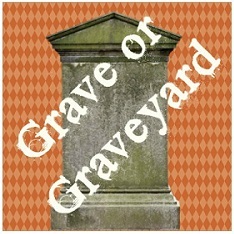 I can't think of anything to say about The Graveyard Book. I've had my troubles with Neil Gaiman books in the past, finding the books I've read merely mediocre as compared to the wonderful opinion many others have. But on a side note, the other two books I've read were more adult-target stories. In contrast, I find myself wondering if maybe Gaiman is a better children's' tale storyteller. 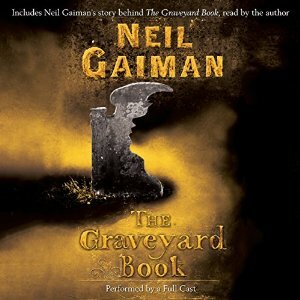 It could just be that I really just loved the audio book version of The Graveyard Book. On a last note: The characters are great! Bod is great! The conflict and resolution were a little shaky. But if it's one thing I absolutely loved was the magical creativity of the Graveyard and the world surrounding Bod's story. And once again, I DID get a bit teary at the ending of the book. And I will leave it at that.